Simple, to the point, and, most importantly – effective – Vape Bright strives to put the purest CBD vape oil in your hands. Today we review Vape Bright, a small company whose goal is to deliver the most pure, strong, and accessible CBD C02 vapor cartridges on the market. As they set out to focus on the most important thing in the game – they’ve succeeded with their disposable CBD vape cartridges that are so pure they equal 1mg CBD per puff. 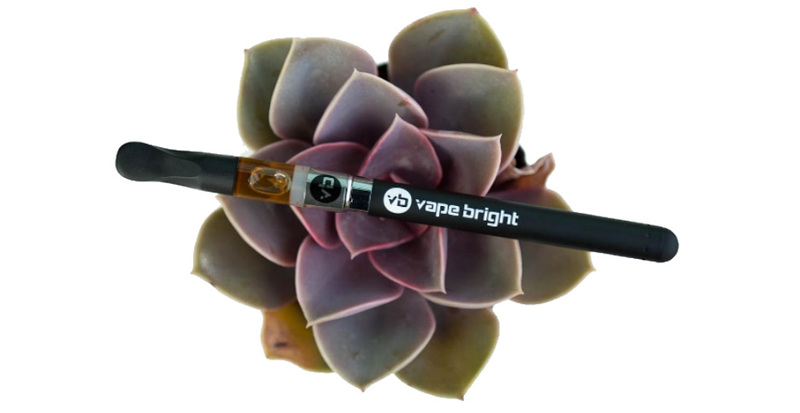 We have all heard the term, “jack of all trades, and master of none,” and while variety is appreciated, Vape Bright takes all of their potential and focus and puts it into some of the purest, and most potent CBD oil on the market. Yes, Vape Bright only sells one product (and the accessories to go with it) but this is not necessarily a bad thing. Each of their cartridges contains 200 mg of pure CBD oil, and containers no carrier oils. These cartridges will work with any 510 threaded batteries, but they even sell their own so you know you won’t run into battery compatibility issues. Deal works site-wide. Visit vapebright.org for the latest sales and deals. What stands out for this company is their excellent attention to detail and their caring for their customers. At the time of this writing 842 top star customer reviews hailed the company and the success they experienced with the product. And now for one of the most important things you are wondering! How expensive is it? For a company that focuses on the perfection and production of one product, one would expect said product to be overly expensive. Thankfully, we can report that each cartridge only comes in are around $50! From there, they are available in bulk and, during certain times of the year, there are discounts for those too. As we all know, CBD is not the cheapest supplement, nor do you want to jump for the cheapest options out there, so while the price might be a tad high, especially when compared to competitors, it’s more than fair considering what you are getting for your dollar. While they are an admirable and trustworthy company, their small size, and lack of product diversity does make other brands look somewhat more attractive. Purity and price are not at the top of every customer’s wants/needs list. Many might be looking for other consumption methods, higher dosing per serving, or maybe just something that isn’t a vape. In the CBD world, there are so many options and different company profiles out there that you can chose from. If your looking to vape CBD oil and are not looking to do anything else, Vape Bright could be your go to with its sensible pricing and great vape oil! VapeBright might just be that company that can provide you just what you need, but I guess you will have to find out.